Mitch is the Legal Practice Director of Dundas Lawyers Gold Coast Pty Ltd ACN 627 097 170 and advises organisations on matters concerning commercial / contractual disputes, insolvency related issues, body corporate disputes and building and construction litigation. 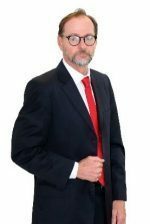 Prior to establishing Dundas Lawyers Gold Coast, Mitch was a partner at the Gold Coast boutique law firm Reichman Lawyers. He has worked at boutique, top and mid-tier firms practising in most facets of civil litigation. Before practising law, Mitch worked for the Queensland Department of Education as a teacher, head of department and human resources consultant. He has tutored at the Gold Coast campus of Griffith University in the Business School MBA program. Mitch understands that corporations would prefer to focus on their core business rather than becoming embroiled in protracted legal disputes before the courts, particularly when either as a plaintiff or defendant, litigation is not about making a profit but mitigating loss. His emphasis in litigation is to achieve a palatable commercial solution the client can live with early in the matter. It’s good to remember that 80% of something is better than 100% of nothing, particularly when it is not unknown in litigation for the legal costs of both parties to exceed the amount being fought over. Unfortunately, there are parties that are just plainly belligerent and uncompromising. In those circumstances the focus is on ensuring the case is thoroughly prepared for and presented at trial to ensure the best prospects for a successful outcome. Queensland Body Corporate and Community Management Commissioner for the successful body corporate respondent arising under section Part 9 Chapter 8 of the Body Corporate and Community Management Act 1997 in the matter of Atlantis West  QBCCMCmr 120. What documents is a liquidator entitled to and who can they get them from?